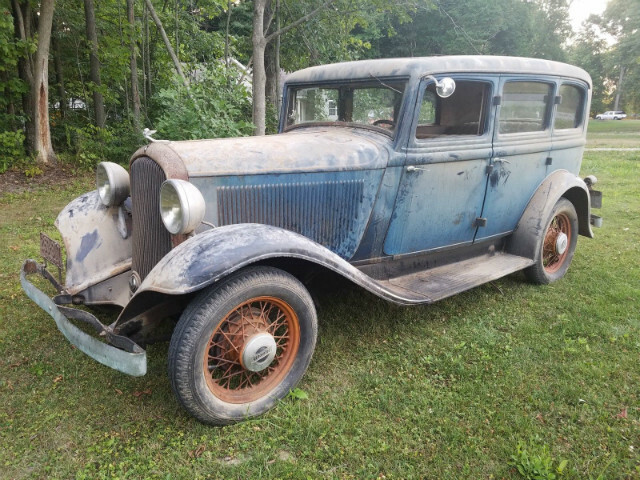 1932 Plymouth PB 4 Door Sedan, 100% original, original paint, original interior, this car very likely has every nut and bolt it left the factory with. It is the most original 32 PB that I have had. It runs and drives, but should have the brakes gone through before any serious driving as it has not been driven much in recent years. I have not found any rust issues on the car. I have polished it up a little but hope to find time to give it the serious detailing that it deserves. The original paint shines up nicely but is far from perfect with plenty of blemishes, or patina, I guess is the word of the week for that. As always, call me for an honest description.